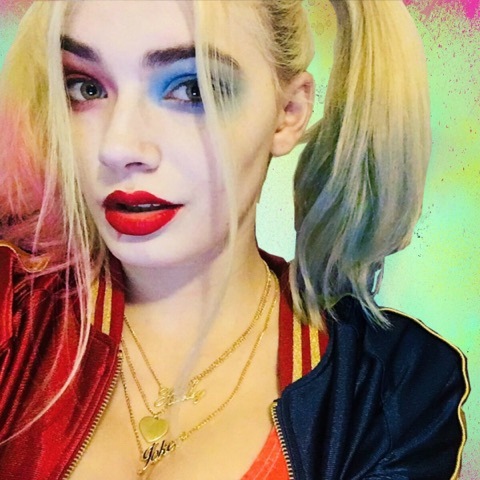 Please join The Ogee Times in congratulating NotMargotRobbie for being our "Featured Cosplayer of the Week" ! A: Wizard World always seemed appealing to me but I was never financially in a situation where I could afford to go. My friend is a local artist and had a booth for Wizard World Philly and needed help manning the table. I asked if I could dress up and an addiction was born! A: Harley Quinn is my featured cosplay for various reasons. She’s fun and spunky but most importantly she’s been through a lot with Mistah J and keeps coming back stronger than ever. I like to think of myself as a resilient human being and Harley is too. I think that’s part of why I love her so much. A: There’s nothing quite like creating an idea and bringing it to life. I love designing new concepts for cosplays. Plus, the makeup is pretty fun to do too! A: I was hesitant at first too. Honestly, you don’t have to start out with anything elaborate. Start small and test the waters! My first cosplay was a tee shirt and some shorts that I had laying around and I caught the cosplay bug. The cosplay community is incredibly inclusive. I don’t think you’ll ever feel unwanted or alone when you’re at a con. I say just go for it and if you decide it’s not for you, you don’t have to do it again, but you tried it out and that’s all that matters!